If you believe that any from the data is incorrect, please make contact with us. Enable us be better day-by-day. Updated on 2019 Paseo de los Rosales s/n , Saragossa (Zaragoza) , Spain (Postal Code: 50008). This sports center offers 25 meters, 6 lanes, Indoors. Contact data for this Swimming Pool which include phone number and email address are number. Updated on 2019 Parque Macanaz , Saragossa (Zaragoza) , Spain (Postal Code: 50018). This sports center delivers 25 meters, 6 lanes, Indoors. Contact information for this Pool for example phone number and e-mail address are number. Updated on 2019 Calle Argualas 50 , Saragossa (Zaragoza) , Spain (Postal Code: 50012). Swimmers like you have reported 25 meters x 18 meters, 8 lanes, Indoors. Also, you will find 18 meters x 12 meters, Indoors. If you must contact this Pool, email address and phone number are both number. Updated on 2019 Luis Bermejo s/n , Saragossa (Zaragoza) , Spain (Postal Code: 50009). 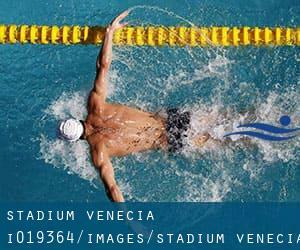 Swimmers like you reported 25 meters x 12.5 meters, 1.45 meters depth, 1.45 meters depth, Indoors. Phone number and email address are number for this Swimming Pool.